The Philippines is acknowledged to be one of the top English-speaking nations. The Global English named the Philippines as the top business-English speaking country, surpassing India. Hearing such News is not unusual since English has always been a part of the education curriculum in the Philippines. Parents, however, tutor their children how to speak in English in early ages. A proof is hearing young Filipino children respond and speak in English sooner than they learn this in school. If speaking in English starts at a young age, how come there are still people who do not know basic spelling, grammar, and pronunciation? “Lita store”, “Customers parking”, “We just sell the lowest price”. These are some of the incorrect signages that we took a picture of as a part of our project way back in our 4th year in High school. Several times, I asked myself, “how come there are things like these”? If the Philippines is in the top ranking of English-speaking nations, must it be like this? Is the ranking fictitious? Absolutely not, the ranking is fully bona fide. Since the Philippines is a third-world country, there is lack of proper education, especially on the field of English. There are a lot of Filipinos who do not have a chance to go to school due to poverty. From this, we mostly assume that some of the Filipinos are dumb and uneducated, but we are wrong! We are very wrong. Wrong signage only serves as proof of how complex; and probably, dynamic the mind of a Filipino is. Can you imagine a person who did not have proper education and did not go to school and learn English, but still tries to spell a word and eventually spells it almost correctly? An additional illustration: when foreigners visit a barrio or a bucolic area and inquire something to the locals, the locals willingly answer and are able to converse properly. In contrast, when Filipinos go to other First-world countries like China and Japan, they will have a difficulty in communicating or asking directions. In conclusion, Filipinos are smart, capable, and logical people. They have the ability to put wit and humor in every form and manner of his communication and responses. Ironically, the wrong signs we see on the streets are products of his creativity. However, proper education is needed for us to attain that positive image that we want the world to perceive. Furthermore, English will act as a catalyst of change to the profound negative perception to the Philippines. Poverty alleviation is still the foremost and important problem that our government should solve. Without poverty, there is education. With education, there is success. 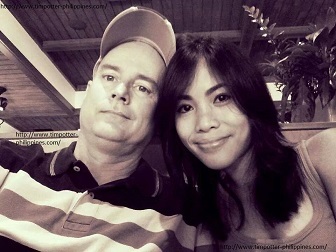 After all, we are FILIPINOS. We are fierce! We are competitive! 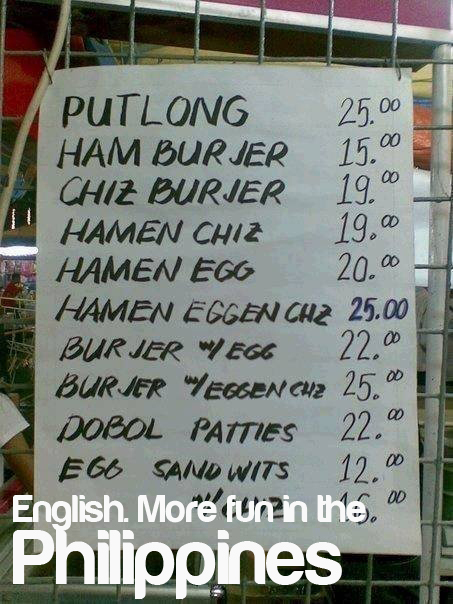 With that, English is definitely more fun in the Philippines!